If you're hoping to reduce your Facebook ad costs and finally start seeing results with your ad campaigns, you've come to the right place. 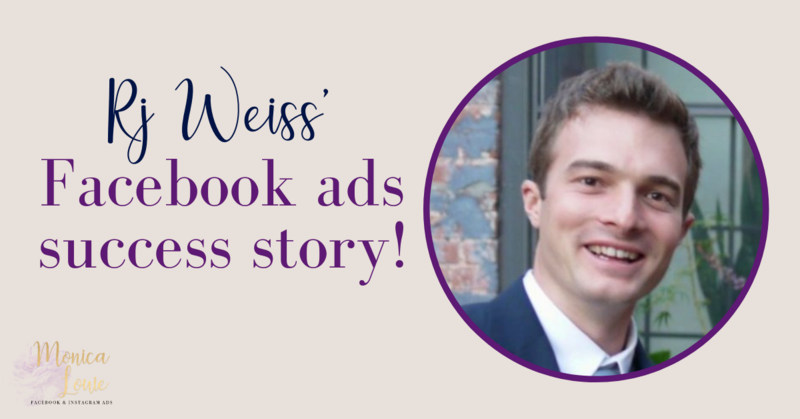 Today, I'm sharing another awesome Facebook ads success story! 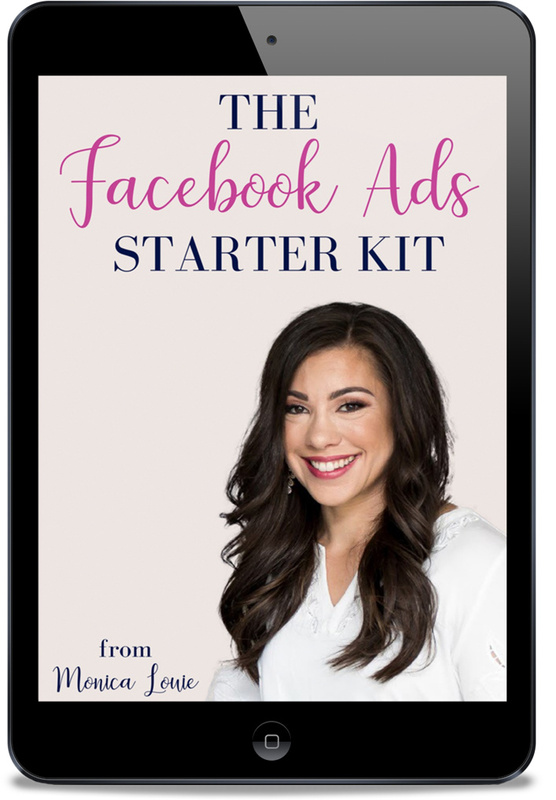 Since creating my course, Flourish With Facebook Ads, and welcoming my first round of students, I’ve been so pleased to hear their results with creating and running their ad campaigns. My students have used Facebook ads to promote their businesses, blogs, and side projects with several different strategies. Some of these include increasing revenue through affiliate link clicks and conversions, as well as other strategies like driving sign-ups to webinars and selling their own products. Today, I want to feature another one of my students, R.J. Weiss, who is the owner of The Ways To Wealth. He’s a husband, father, and Certified Financial Planner who’s been writing about personal finance for 10+ years. R.J. spends his days teaching others how to make money, save money, and invest wisely with proven strategies. He’s also a student of Flourish who was able to get his costs down to $0.05 – $0.06 per landing page view for his traffic campaigns! Let’s dive in and see exactly how R.J. has been able to achieve these awesome results! R.J. initially got his start with blogging back in 2009. He launched a personal finance blog and ran it for two years before selling it. After that, he spent a few years using the marketing skills he learned from blogging to help an insurance agency generate leads online. But it wasn’t until he launched The Ways To Wealth in 2016 that he started achieving great results with his online business ventures. He says this was his first project that experienced a lot of monetary success! In 2017, R.J.’s site was bringing in enough to provide him with a full-time income. Because of this, he felt confident to start scaling his business through Facebook ads. So he made a commitment to start taking Facebook ads seriously to increase his revenue. In October 2017, he signed up for Flourish and began using Facebook ads to drive traffic to his blog. While it seems that R.J. has been able to master the Facebook ad strategies he learned from the course in less than six months, he admits there has been a steep learning curve. He often monetizes his blog with sponsorships and affiliate marketing with the help of Facebook ads. Learning how to track the return on investment from Facebook ad campaigns that are driving traffic to monetized blog posts is important. However, R.J. struggled with this during the initial learning stage since some affiliate partners he was working with didn’t allow conversion tracking. A mistake he admits to making in the beginning was turning off an ad or ad set too quickly when he thought it wasn’t working. This is a common mistake I see people make with Facebook ads all the time! They create an ad campaign and if they don’t see results in 12-24 hours, they shut it off. I recommend waiting at least 72 hours to fully test your ad sets before turning them off or making small tweaks to improve them. R.J. admits he hadn’t done much with Facebook ads before buying Flourish. Even though he had about 100,000 monthly website visitors at the time he signed up for the course, he only had around 100 Facebook Fans for his page. Wanting to establish a larger presence on Facebook, he signed up for Flourish after a recommendation from a fellow blogger. Since studying the course modules and running ads for the last six months, R.J. has achieved a positive ROI on his ad spend. Facebook ads have also helped grow his email list and attract new partnerships for his website! During his fourth day of running Facebook ads, R.J. got his cost per Landing Page View down as low as $0.06! R.J. has spent quite a bit on Facebook ads over the past six months — $17,325.90 to be exact, but has seen what he calls, “a positive ROI” nonetheless. In January 2018, The Ways to Wealth brought in over $11,000 in net income after spending $5,015.84 on Facebook traffic ads during this time. One thing you may note is that R.J. is focusing on getting Landing Page Views, and not optimizing for just Link Clicks. This is one strategy that can really help boost your goal of getting cheap, targeted traffic to your site, since they’ll actually load the page. Given R.J.’s success with the course and using Facebook ads to grow his business, I asked him to provide 3 key takeaways for others looking to leverage Facebook ads. First, he recommends testing your Facebook ads thoroughly. I also agree that testing is a must if you want to find out what works and what doesn’t. Some of the ideas R.J. thought would do well didn’t, and the others he wasn’t too confident about actually worked great! You can’t really predict specific results with Facebook ads which is why it’s so important to test out your ad’s copy, images, audiences, headlines, and more. Second, R.J. recommends taking testing a step further and making small tweaks one-by-one as you make changes to fine-tune your ad. For example, you may find that using a different image makes a huge difference. Or, you may just need to tweak the headline or copy. Don’t trouble yourself by scrapping an entire ad campaign without changing the smaller elements and running a test first. His third tip is to play the long game. You must be patient when working with Facebook ads! He says to focus on giving a lot of value up front without expecting much in return. In R.J.’s case, he was pleasantly surprised by getting his traffic ads costs down to $0.05 – $0.06 per click on just day 4 of running the campaign!